Save 15% when you purchase this item in the Beginner’s Special! 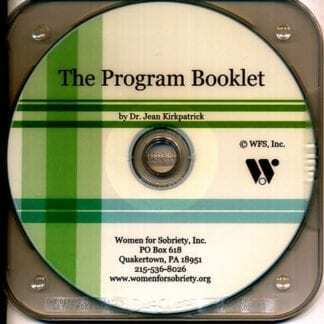 This is a collection of five workbooks and booklets originally written by New Life Program founder Dr. Jean Kirkpatrick, Ph.D., between 1975 and 2000. 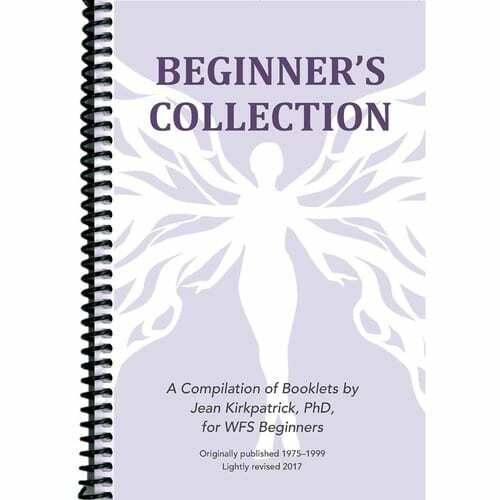 These writings were specifically selected with the needs of women new to the New Life Program in mind. 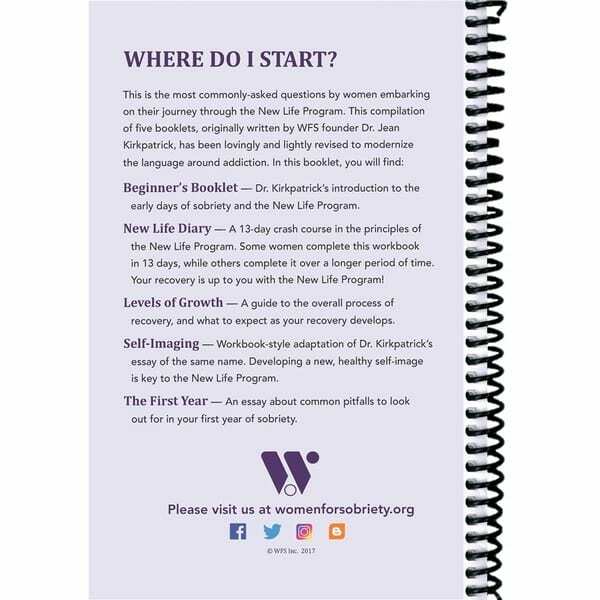 Lightly revised to modernize the language around addiction and reflect the changing roles of women in society, we are proud to honor the legacy of our founder in this new compilation. Plastic spiral binding allows ease of use with workbook pages. 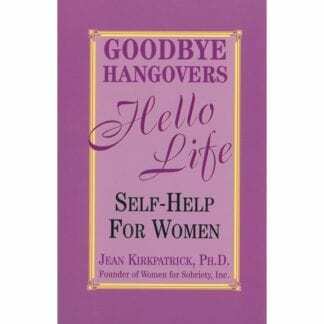 Beginner’s Booklet – Dr. Kirkpatrick’s introduction to the New Life Program. 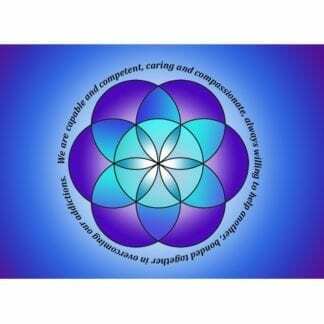 New Life Diary – A 13-day crash course in the principles of the New Life Program, based on Dr. Kirkpatrick’s seminal work, Turnabout. 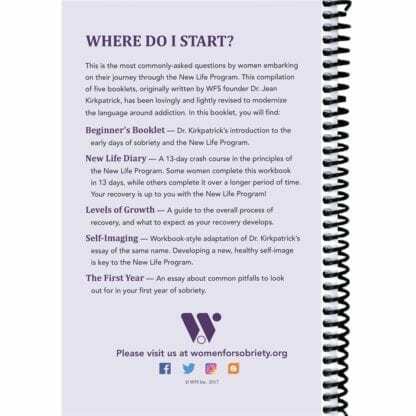 Some women complete this workbook in 13 days, while others complete it over a longer period of time. 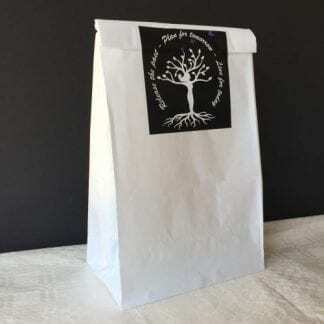 Your recovery is up to you with the New Life Program! Levels of Recovery – A guide to the overall process of recovery, and what to expect as your recovery develops over time. Self-Imaging – Workbook-style adaptation of Dr. Kirkpatrick’s essay of the same name. Developing a new, healthy self-image is key to the New Life Program. The First Year – An essay about the common pitfalls to look out for in your first year of sobriety.